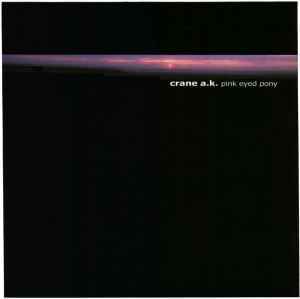 Deep and melodic, Crane A.K. 's only album, PINK EYED PONY, eases into its mellow tech-house with the smooth tones and occasional snippets of voices in "Beyond the Flow," while "Ancient Astronauts" brings in the funk. But mostly, the tracks blend together, one into the next. "Rangerbobby" slows things down a bit for some variation in tempo, but "Electrothermid" takes the beats back up. The fatter tones and the return of dismebodied voices on "Conrad's Friend" also adds a bit of contrast. Though enjoyable, it doesn't quite stand out enough.